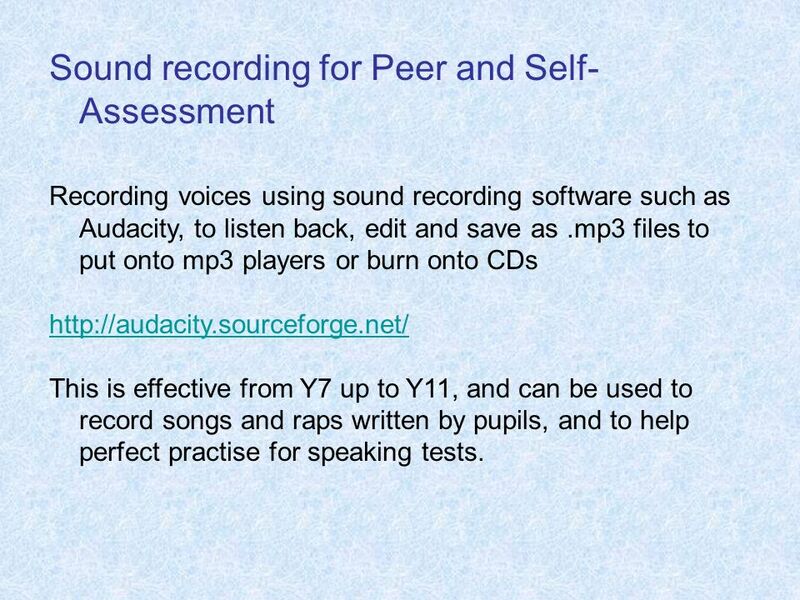 Recording voices using sound recording software such as Audacity, to listen back, edit and save as .mp3 files to put onto mp3 players or burn onto CDs This is effective from Y7 up to Y11, and can be used to record songs and raps written by pupils, and to help perfect practise for speaking tests. 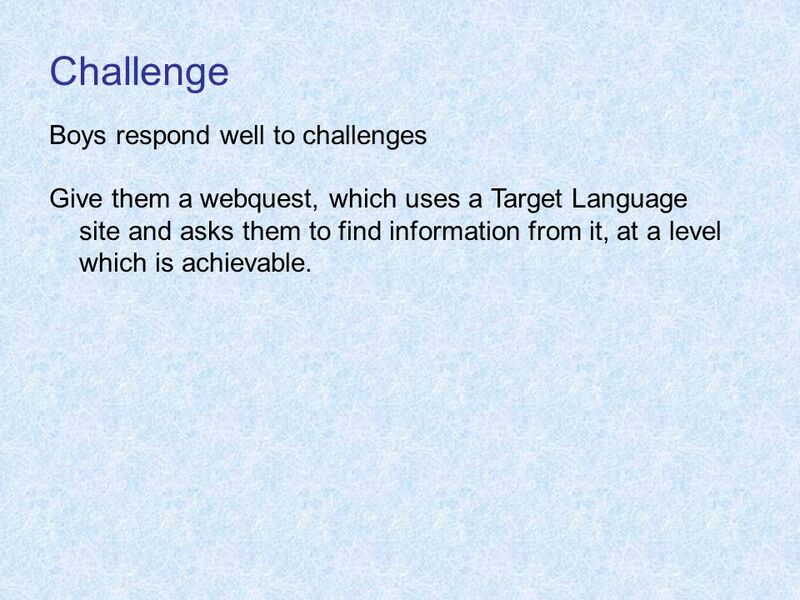 Give them a webquest, which uses a Target Language site and asks them to find information from it, at a level which is achievable. 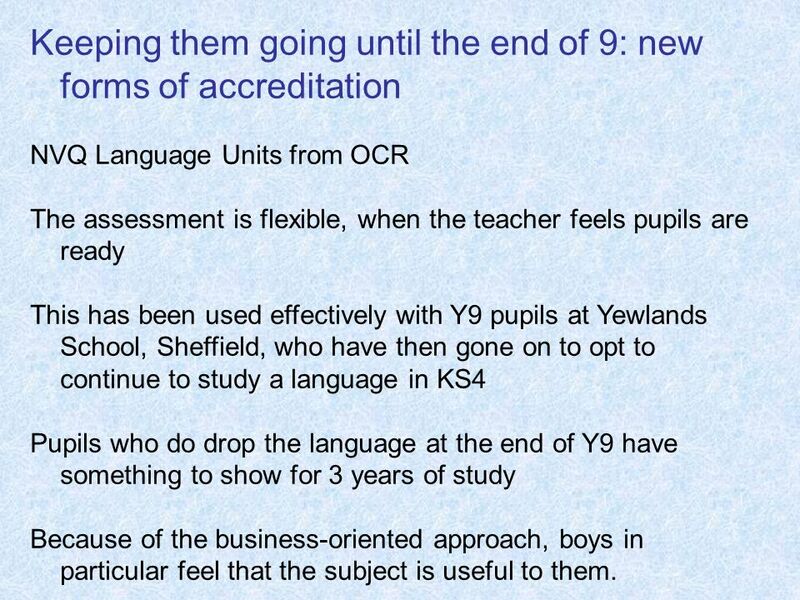 NVQ Language Units from OCR The assessment is flexible, when the teacher feels pupils are ready This has been used effectively with Y9 pupils at Yewlands School, Sheffield, who have then gone on to opt to continue to study a language in KS4 Pupils who do drop the language at the end of Y9 have something to show for 3 years of study Because of the business-oriented approach, boys in particular feel that the subject is useful to them. 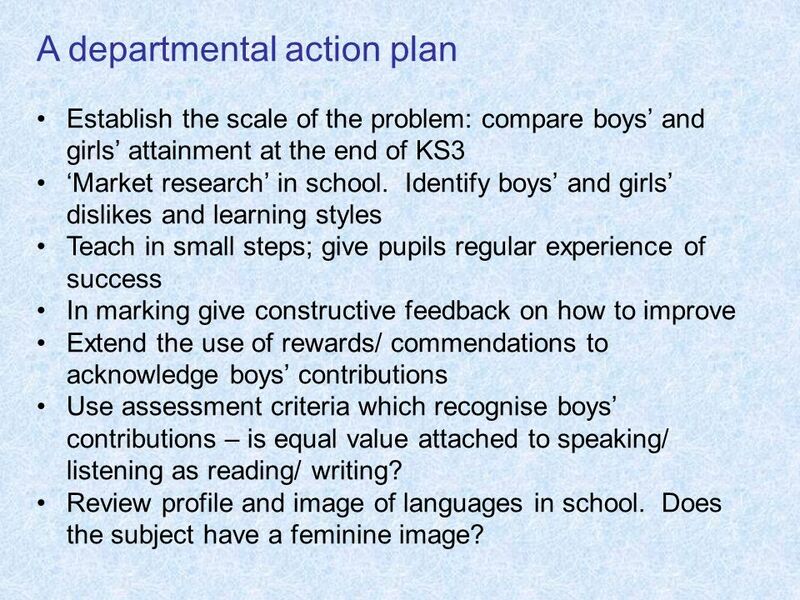 Establish the scale of the problem: compare boys’ and girls’ attainment at the end of KS3 ‘Market research’ in school. 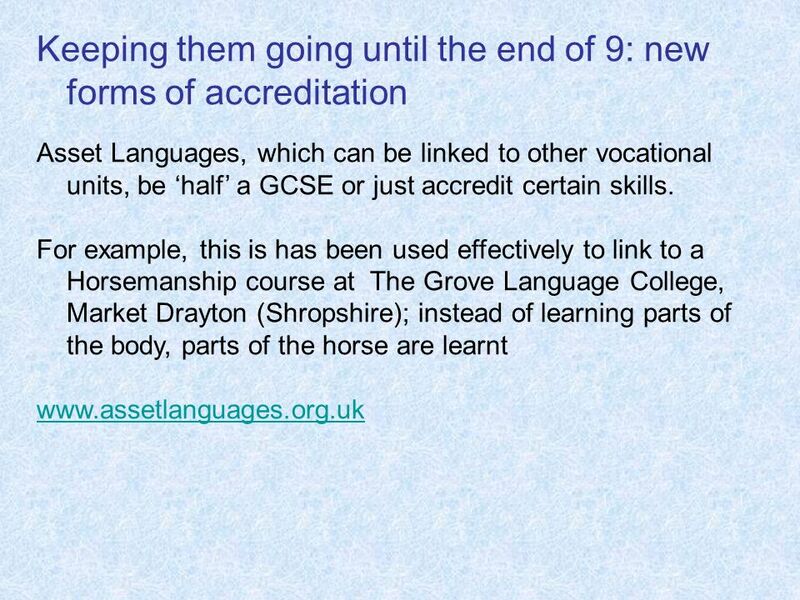 Identify boys’ and girls’ dislikes and learning styles Teach in small steps; give pupils regular experience of success In marking give constructive feedback on how to improve Extend the use of rewards/ commendations to acknowledge boys’ contributions Use assessment criteria which recognise boys’ contributions – is equal value attached to speaking/ listening as reading/ writing? 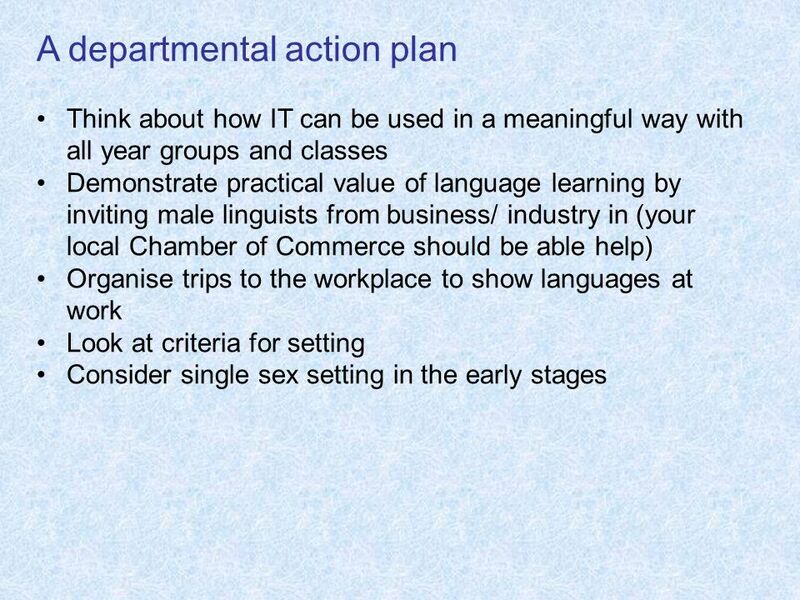 Review profile and image of languages in school. Does the subject have a feminine image? 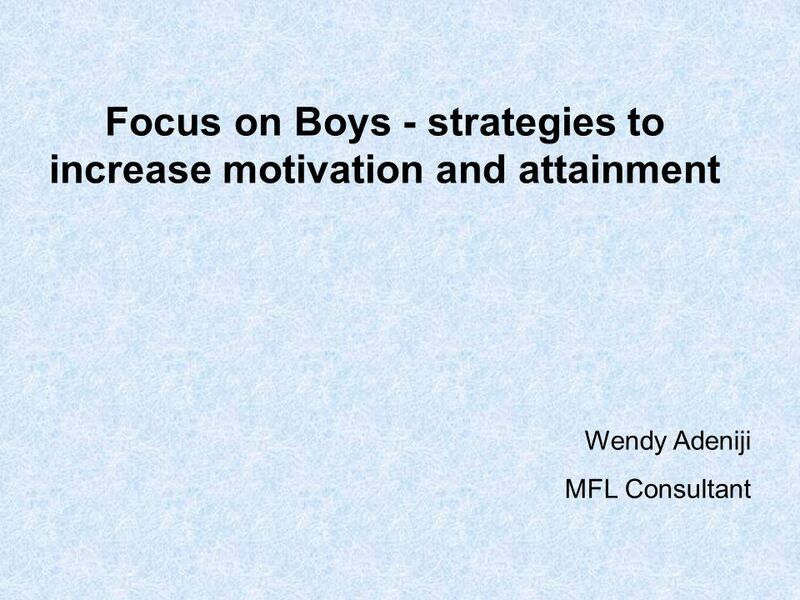 Download ppt "Focus on Boys - strategies to increase motivation and attainment"
Extended Course - Day 2 Story telling Why Storytelling? 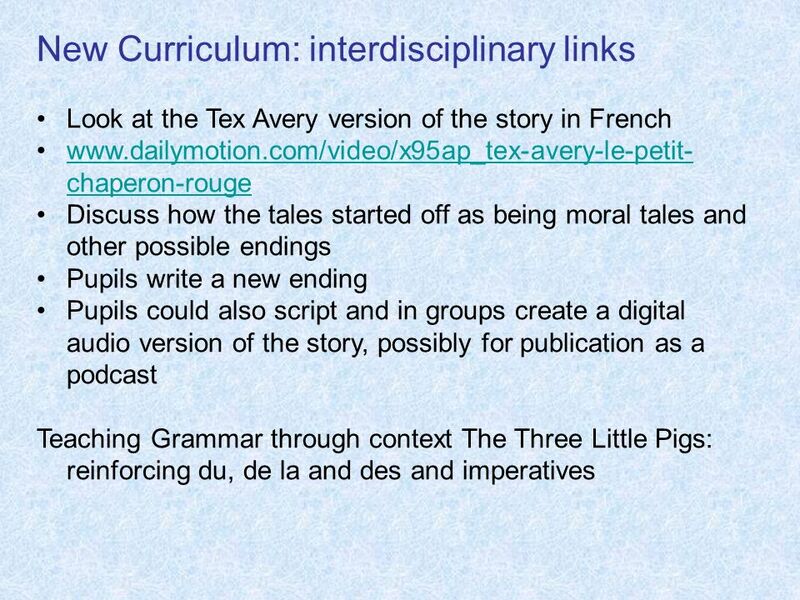 Why has the curriculum changed? 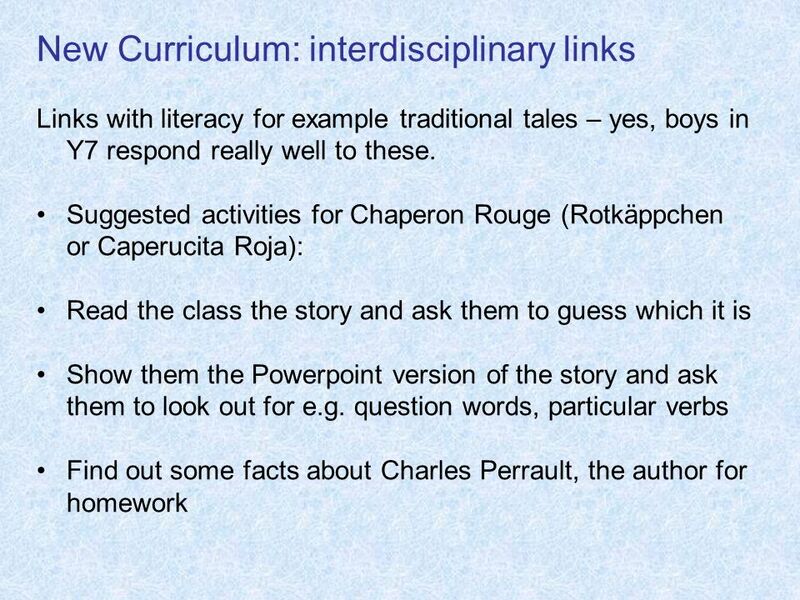 Jan Dubiel QCA Curriculum Using the P Scales Conference Reading 24 th March 2009 Assessing Pupils Progress. © Marianne Salvo and Kim Slomka, 2009 Achieving Success Using Assistive Technology. How to help at home Most important thing – From a very early age… Talking and Listening. 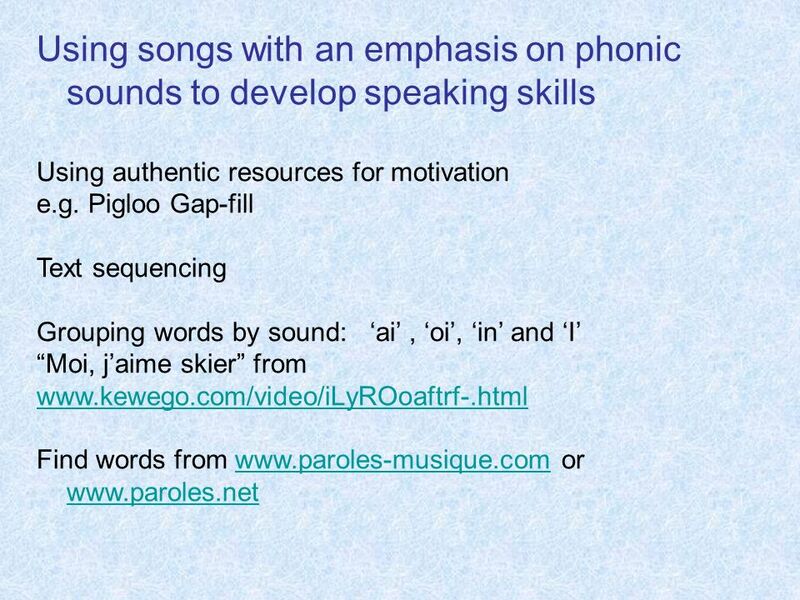 Reading with and to your child Playing listening games Singing. Gina Ottaway – SLE Westdene TSA. 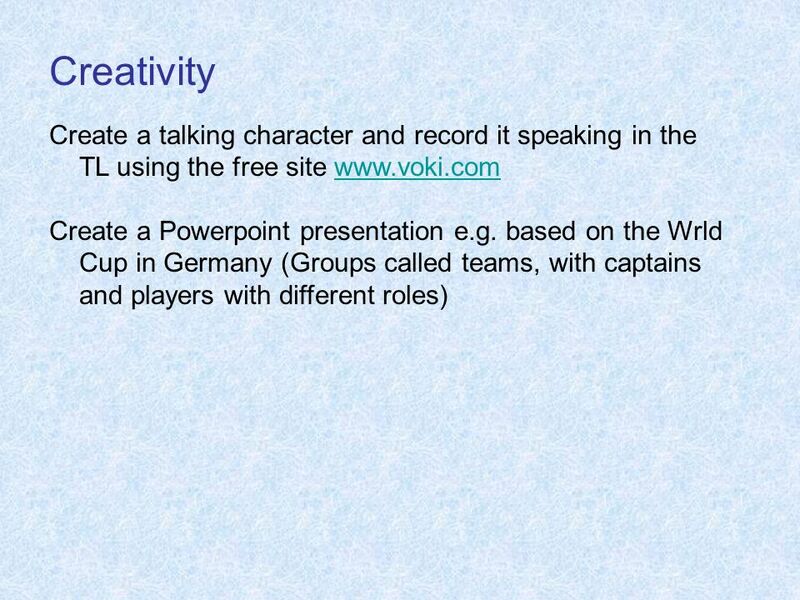  Writing gives learners the opportunity to find ways of expressing their ideas in a foreign language.  Writing gives. A phonics workshop for Parents St John’s CE Primary School Tuesday 20 th November 2012 EYFS and KS1 team. © Eden Education Ltd SUSSEX SECONDARY MENTOR CONFERENCE The University of Sussex 22 June 2012 Heather Leatt Ofsted Inspector School Improvement Adviser. 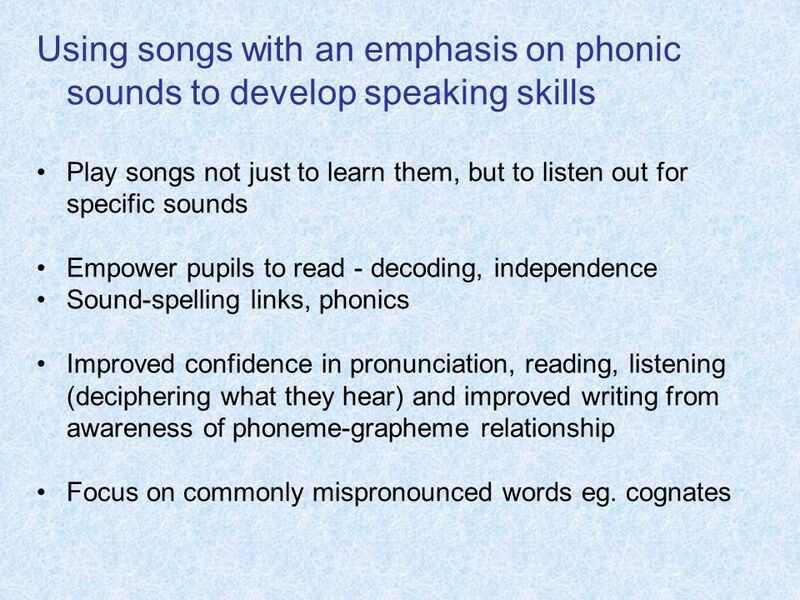 PHONICS The teaching of Phonics and Spelling at Fountains Earth Primary School. The National Curriculum A guide for parents. 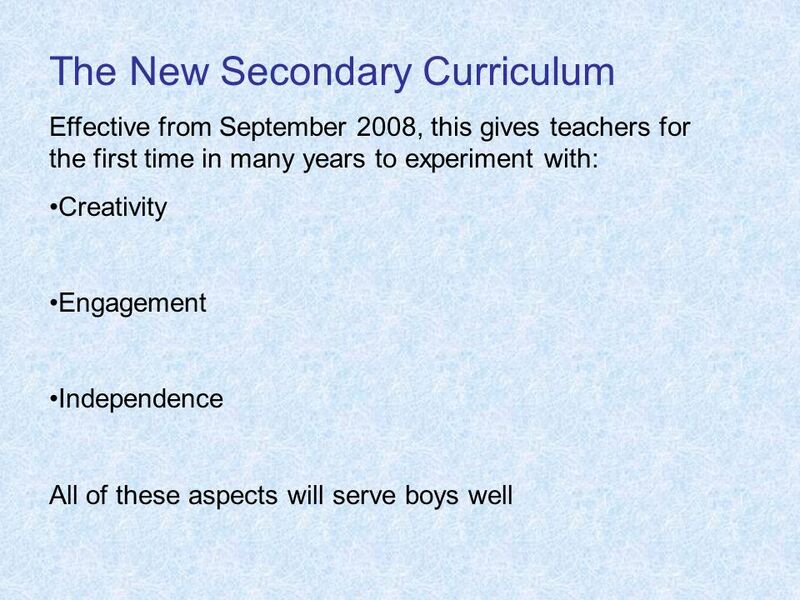 The National Curriculum is a framework used by all maintained schools to ensure that teaching and learning. 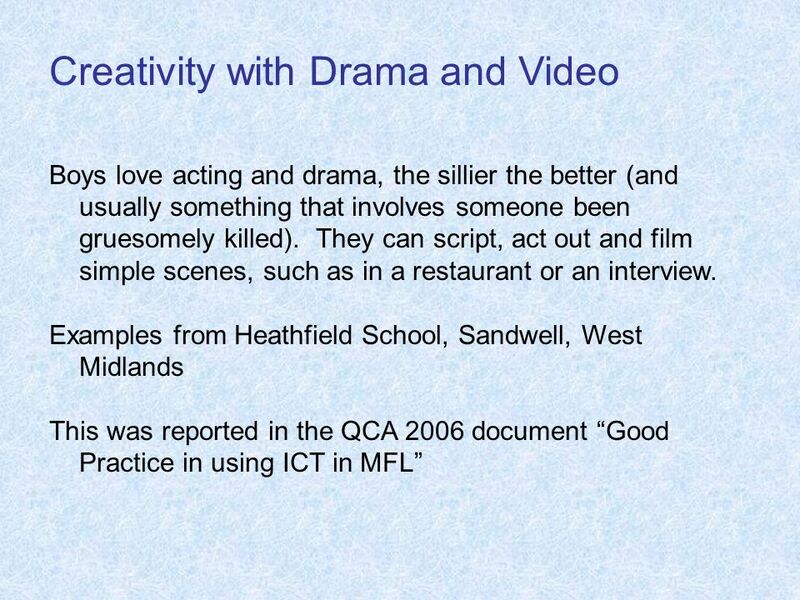 Make a difference Welcome A Level Media Studies. 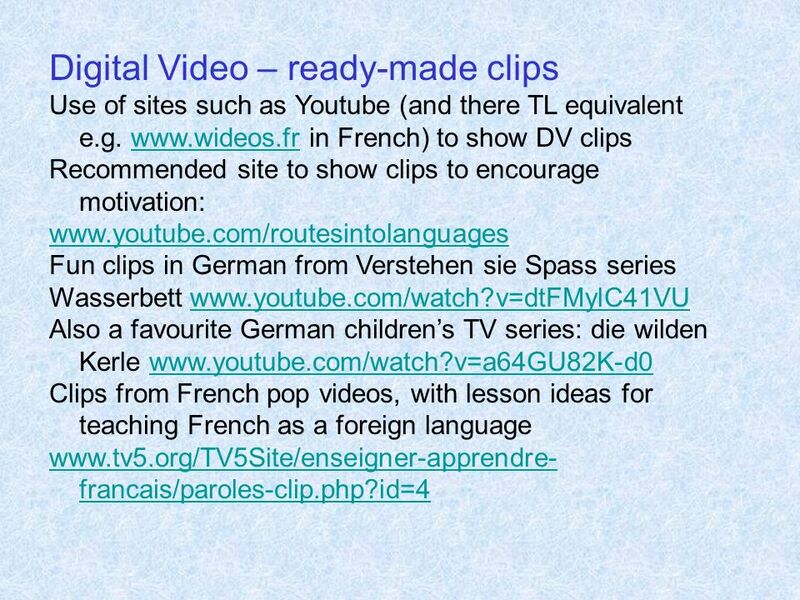 Introduction to OCR Introduction to Media Studies Why change to our specification? Support and training. Understanding Progress in English A Guide for Parents. © Crown copyright 2006 Renewing the Frameworks Enriching and enhancing teaching and learning.